Board games! You want 'em? We've got 'em. You want to play 'em? Well, come along on Monday night and then you can play them too! Right, enough question and exclamation marks and on with the blog. 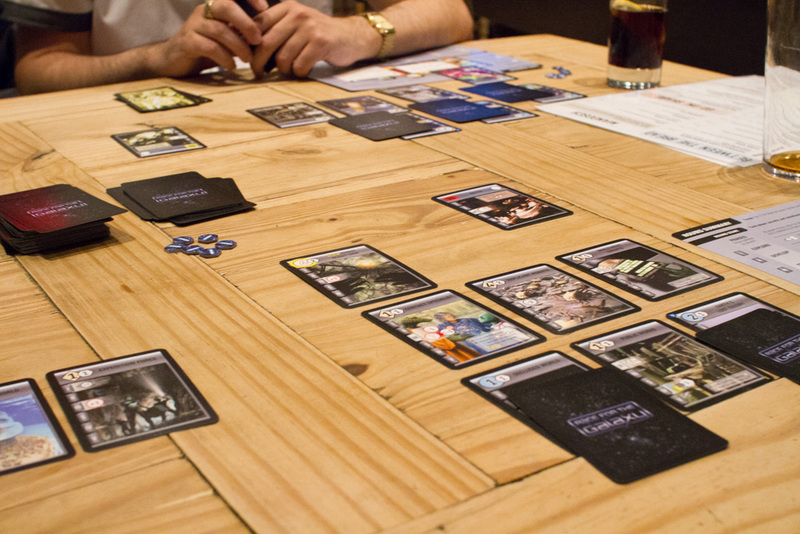 Most weeks there's a board game debut and this week was no different, Race For The Galaxy made its IpBoG debut. Tim said he owned the game but had never figured out how to play it. The rule book can be a bit daunting so I offered to teach it to him. It's quite quick once you get the hang of it so we played a couple of games. 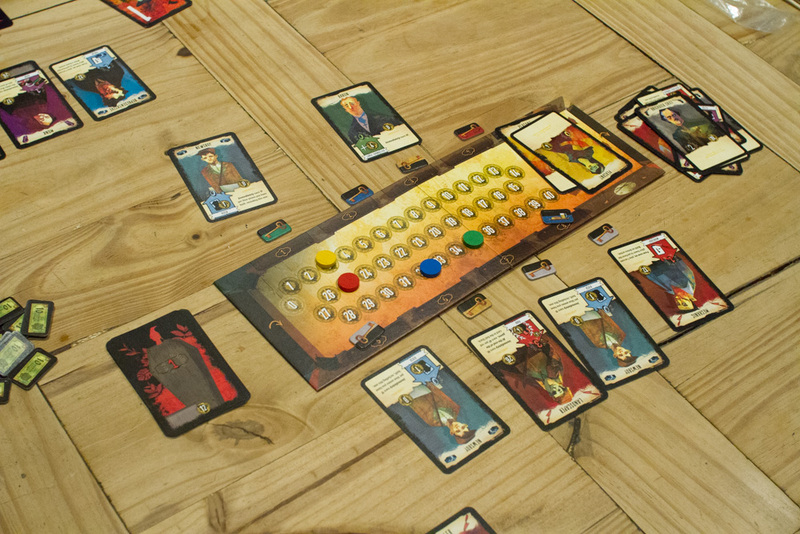 After playing Mexica last week Dan rushed out and bought himself a copy and brought that along to play this week. Now there are even less copies of this rare version of the game in the UK, with well over 1% of them belonging to IpBoG members. That seemed a lot more impressive in my head before I wrote it down. 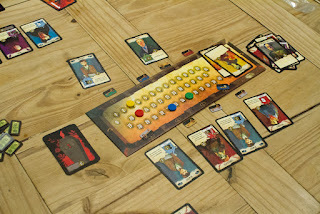 After that Dan played Mission Red Planet which he won and I played The Bloody Inn which I won. Another table played Eight Minute Empire: Legends, Love Letter and Citadels. Towards the end of the night I thought I'd give Codenames another try. I can see its potential but we seem to have problems finding links between words. No one wants to give a clue for a single word but that seems to be what happens a lot of the time. Basically it seems a little hit or miss, if you can find a good link it's a fun game, if you can't then it's very lackluster. Maybe we're just no good at it.